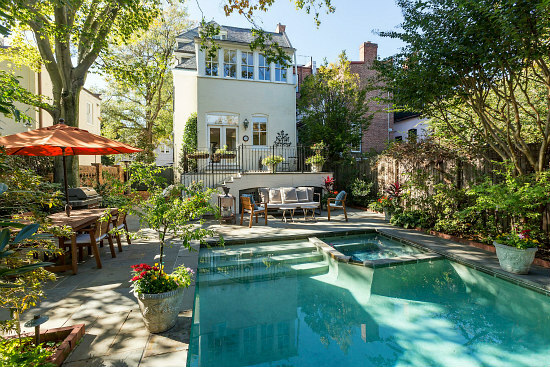 This week’s Best New Listings include an 840 square-foot two-bedroom condo on the Hill and a 5,400 square-foot architecturally ambitious house in Georgetown. 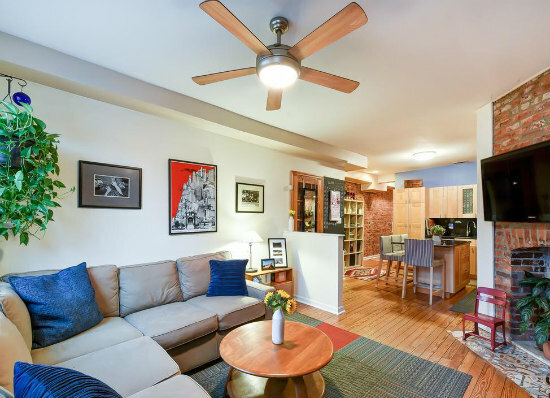 This Hill East condo is one of a pair in a townhouse-like duplex, with its own brick pathway and entrance. The living room has an exposed brick wall leading to the angled fireplace. A partial partition with storage hooks delineates this space from the kitchen, which has a breakfast bar and exposed brick on both walls. The accent brick continues down the hall, where the bathroom and both bedrooms are located. The master bedroom is the sole access to the brick-paved rear patio, which is shared with the upstairs unit. 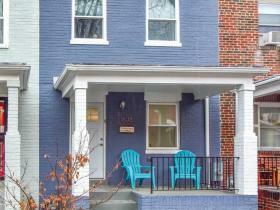 Over in Georgetown's East Village, this seven-bedroom home has an imposing size and architectural heft, with wide arches announcing the corner front porch. Just across the foyer is a built-in storage nook with a bench, hooks and shelves. The threshold between the living and dining rooms is book-ended by partial shelving partitions and carved corbels. Other built-ins feature prominently throughout the house, from a built-in loft with stairs above a partial shelving unit in one room and a built-in desk and bench in another. The master bedroom includes a separate, solarium-esque sitting room; the rear paved terrace has a heated pool with jacuzzi. 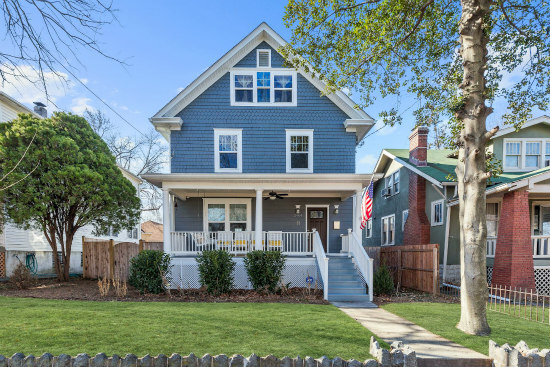 This arts and crafts home in Brookland has a blue exterior that gives off the feeling of a classic farmhouse. The living room and dining room share a coffered ceiling on the main level, looking into the farmhouse-style kitchen with two sinks and extensive countertops and cabinetry. Upstairs, the master suite has a separate seating area and a rain shower in the en suite. The lower level has a built-in wine rack and a wet bar. The wooden deck walks down to a path leading to the two-car garage, and the house is also outfitted with a home audio and intercom system.